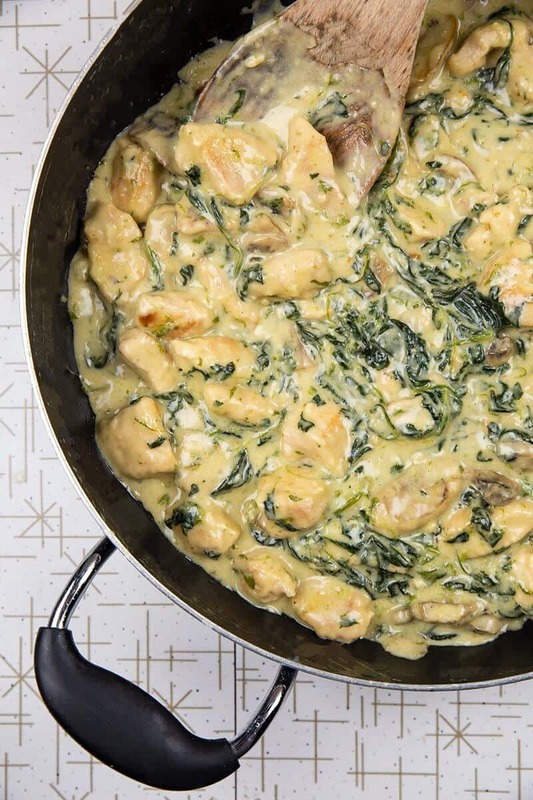 This Easy Chicken Florentine is one of my favourite recipes – the colder weather is here and it makes me want to hunker down with carbs and butter and cream – and always mushrooms. 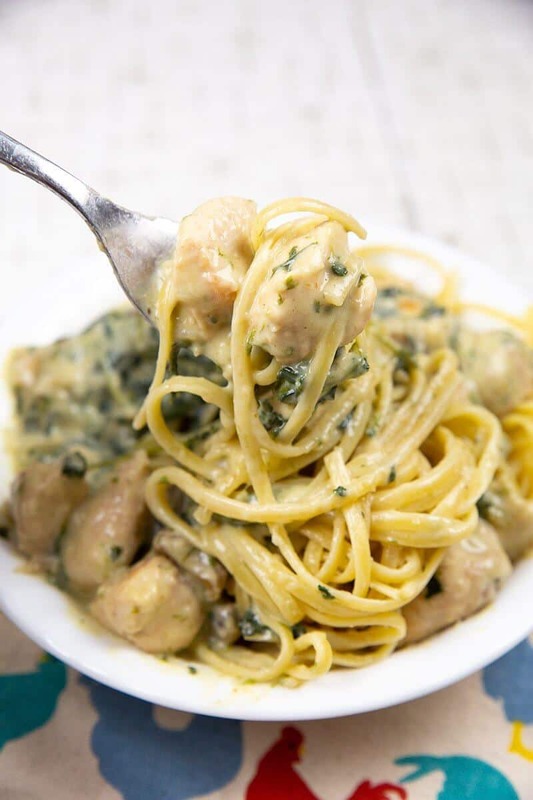 This creamy chicken & spinach sauce is perfect on pasta! 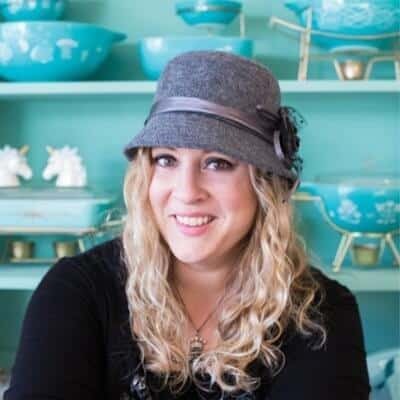 This recipe has been updated from 2009 – meaning that it is one of the first ones I ever did on this website and boy, was it time for a revamp! Chicken Florentine is easy, but takes time to make, so easy doesn’t equal fast in this case but it’s so worth it in the end! into a large bowl and cover to keep warm. Return the skillet to the stove. Melt the butter in the skillet. Add in the onions and the mushrooms and fry until softened and shrunken. Add in the spinach and saute until the spinach is shriveled and cooked, then and add the garlic. Sautee until fragrant ( 1-2 minutes).
. Stir the chicken broth and heavy cream into the pan. Reduce the heat to medium and simmer for 5 minutes. Add the wine and then add the chicken breast pieces back in and continue tosimmer. Simmer for 10-15 minutes until the sauce has reduced down. Around this point, when the chicken is close to being done, prepare your favouritepasta according to the package instructions. Remove from the stove and stir in the Parmesan and lemon juice. Traditionally chicken florentine uses WHOLE chicken breasts, but I find that cooking chicken breasts entirely in a skillet takes forever and a day! You can use whole boneless, skinless chicken breasts in this recipe, just make sure that they are cooked entirely by the end. I also prefer to have smaller pieces of chicken breast when we are serving it over spaghetti noodles, it makes for a better pasta dish. The choice is up to you! This was absolutely fantastic over spaghetti noodles, even whole wheat pasta. This would be a good dish to convert that certain someone (aka the spouse, or heck even yourself) over to whole wheat pasta without much of a fuss. It is so amazingly tasty that who cares what the pasta is made of? 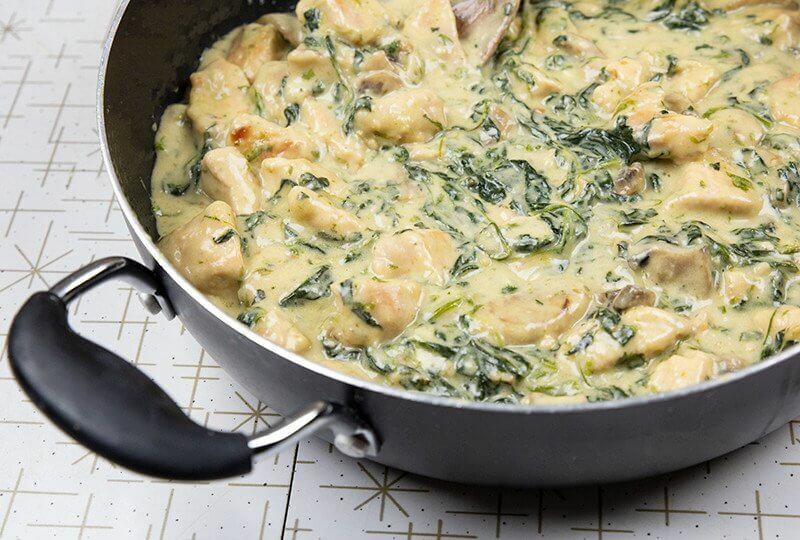 This easy Chicken Florentine is chicken breasts in a creamy mushroom, Parmesan and spinach sauce that you serve over pasta. 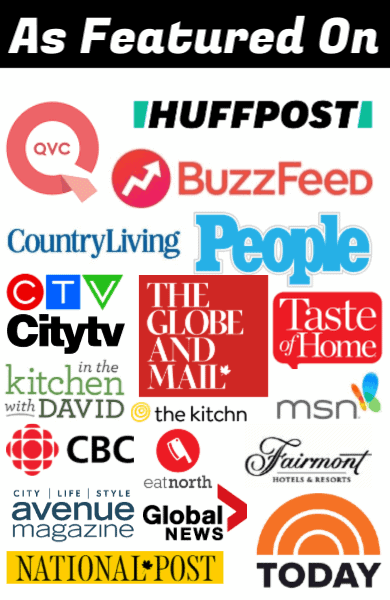 Your family is going to love it! Dredge the chicken breast pieces through the flour mixture until coated completely. In a large skillet over medium-high heat, melt the butter. Add in the chicken breast pieces and fry until golden brown on the outside. Place the chicken breasts into a large bowl and cover to keep warm. IF you like your spinach whole, remove the spinach mixture from the pan now and set aside. I prefer the spinach cooked into the sauce really well ( and my kids will eat it if it's not so..spinach-y). If you want your spinach to break down into the sauce, continue on. Stir the chicken broth and heavy cream into the pan. Reduce the heat to medium and simmer for 5 minutes. Add the wine and then add the chicken breast pieces back in and continue to simmer. Simmer for approximately 10 minutes until the sauce has reduced down. Around this point, when the chicken is close to being done, prepare your favourite pasta according to the package instructions. Once the sauce has reduced down to your liking, stir in the mushroom/spinach mixture. Heat up, then remove from the stove and stir in the Parmesan cheese and the lemon juice. Serve the chicken and sauce over the pasta. Nutritional information is calculated WITHOUT your chosen pasta, this is for the chicken and the sauce only. The sauce will take more or less time to reduce depending on how well you cook the mushrooms and spinach and remove the moisture. I like to really fry mine so that there is less moisture and the sauce reduces quicker! I would like to know if the chicken is completely raw when the sauce is thrown over it as I saw in another recipe that the chicken should be partially cooked first? Kindly advise.